The Paralinx Tomahawk has an extremely impressive range, yet still maintains an incredible sub 1ms latency glass to glass. Both the Transmitter and Receiver feature 2-Pin Lemo power connectors capable of a wide 7-17V unregulated input voltage. 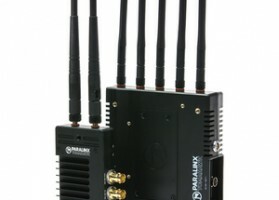 The Tomahawk features 3G SDI input (transmitter) and dual 3G-HDSDI outputs (receiver). 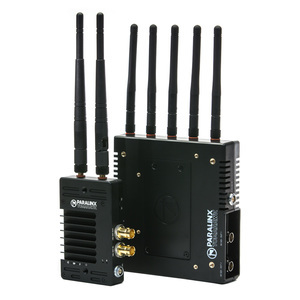 The Paralinx Tomahawk is an HD Video Transmitter system offering Real Time Wireless HD with unprecedented range for Television, Film, Broadcast, Industrial or UAV/UAS application. The Paralinx Tomahawk has an extremely impressive range, yet still maintains an incredible sub 1ms latency glass to glass. 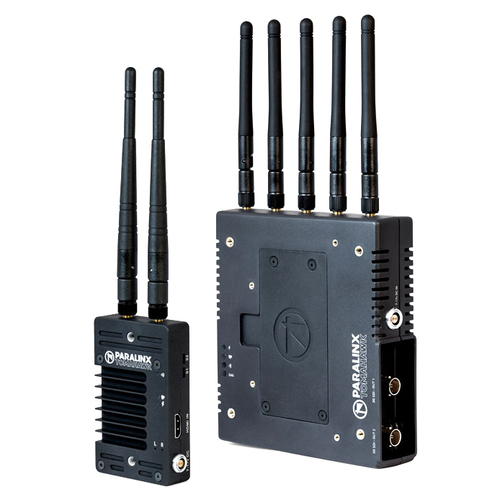 Both the Transmitter and Receiver feature 2-Pin Lemo power connectors capable of a wide 7-17V unregulated input voltage. 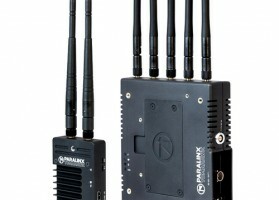 The Tomahawk features 3G SDI input (transmitter) and dual 3G-HDSDI outputs (receiver). We can also include the upgrade ARRAY receiver antenna, as well as circular polarised transmitter antennas for maximum range and reliability.